Following on from the recent ISF General Assembly held in Limone sul Garda in Italy and the subsequent meeting of the UIAA (International Climbing and Mountaineering Federation) in Seoul, Korea on October 23, it’s official that the two organisations will join forces, starting from January 1, 2016. The ISF will continue to administer the sport of Skyrunning, competitions and events as an independent international federation with its own legal entity. Together, the UIAA and the ISF will jointly promote the integration of mountain sport associations under one roof. Among the initiatives to be addressed are the growth and protection of mountaineering and climbing, the protection of mountain environment, safety standards and the promotion of youth activities. The Italian Federation, FISKY already initiated a test for youth teams with Spain this year and will organise the first Skyrunning Youth Championships in 2016. 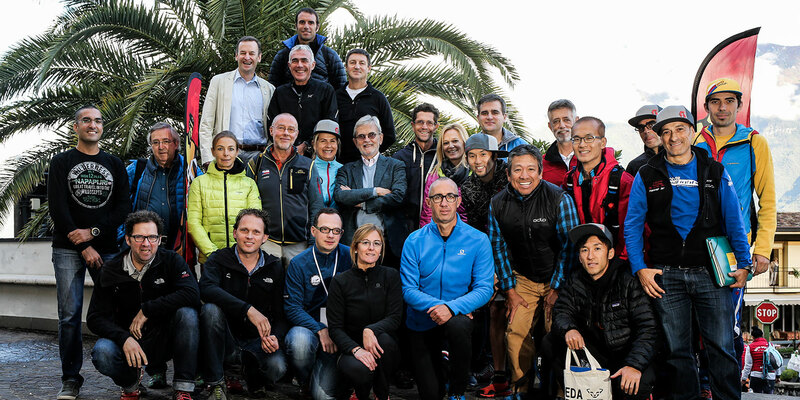 Just a week earlier, concomitant with the Skyrunner® World Series’ finals events in Italy, the ISF General Assembly was attended by 18 country members of which five were proxies. 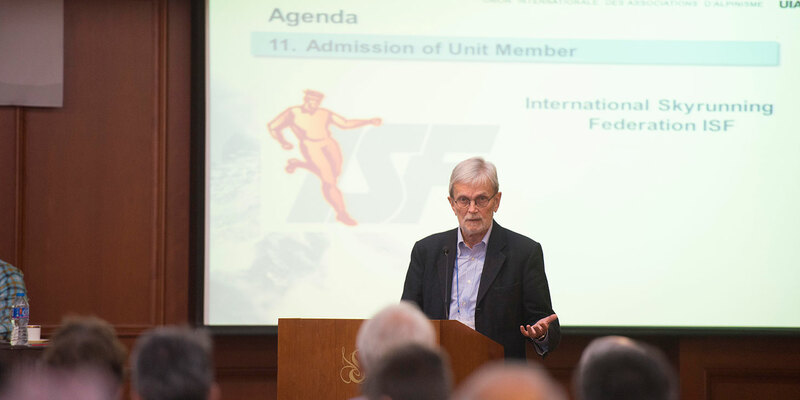 Frits Vrijlandt, UIAA president, presented the decision of the Management Committee in favour of the admission of ISF as Unit Member which was unanimously passed. Co-operation of the two organisations has already taken place at the 2014 Skyrunning World Championships in Chamonix where WADA anti-doping tests were carried out (all negative). The 2016 Skyrunning World Championships to be held in the Spanish Pyrenees on July 21-23, were presented by organiser Albert Balcells. Thanks to the work of Silvio Calvi, ISF advisor and his previous role on the UIAA board, he was elected to the new position of Vice President. Founder member and Medical Commission Director, Dr Sergio Giulio Roi, was re-elected as Vice President for a further four-year period. A positive future for skyrunning emerges, with a strong new partner, new roles and diverse projects – Less cloud. More Sky! *Skyrunner® World Series partner SCOTT Sports supplied the members with products from their range and Salomon donated dvds of the skyrunning film Fast & Light, released worldwide on October 20.